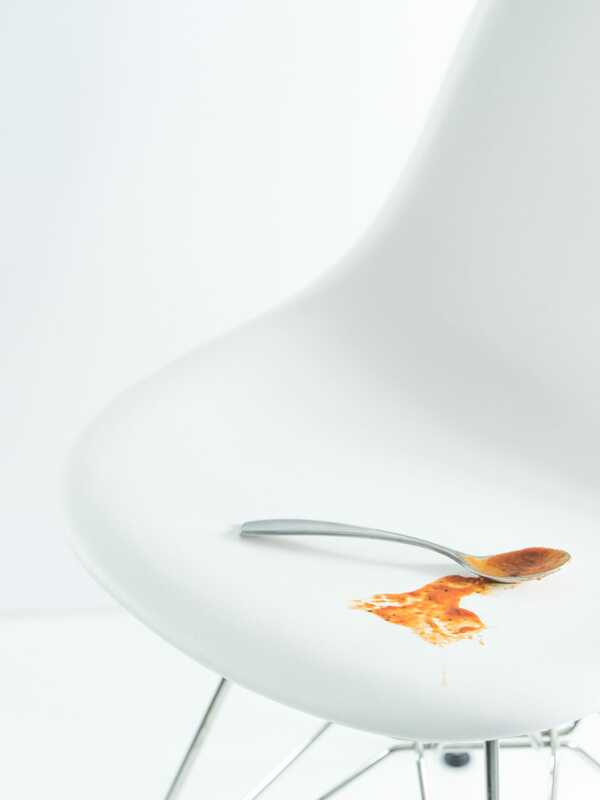 Not only does the Eames Plastic Chair offer a timeless design, it relieves any stress you might have about potential meat sauce stains from your kids. The Herman Miller Eames Molded Plastic Side Chair is the most stylish piece of furniture in my home, but only recently did I realize it’s one of the most childproof pieces of furniture in my house as home. But it took a recent non-normal event for us to learn that the Eames’ true purpose isn’t necessarily style. I now believe the Herman Miller Eames Plastic Chair is the perfect dining room chair for young families. 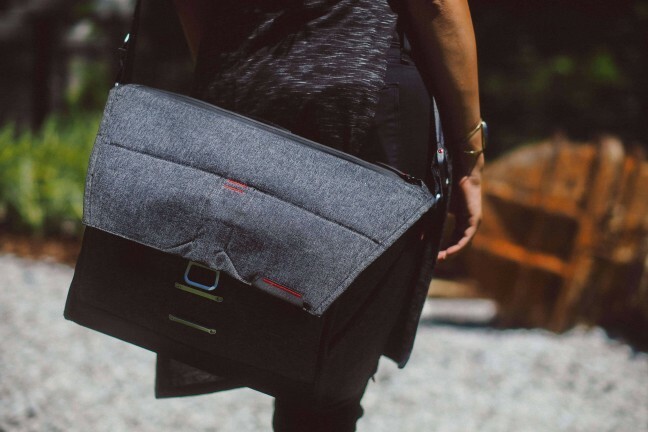 It’s super stylish and modern, but it’s also very easy to clean when disaster strikes. If not for the price, I’d have six of these chairs around my dining room table. 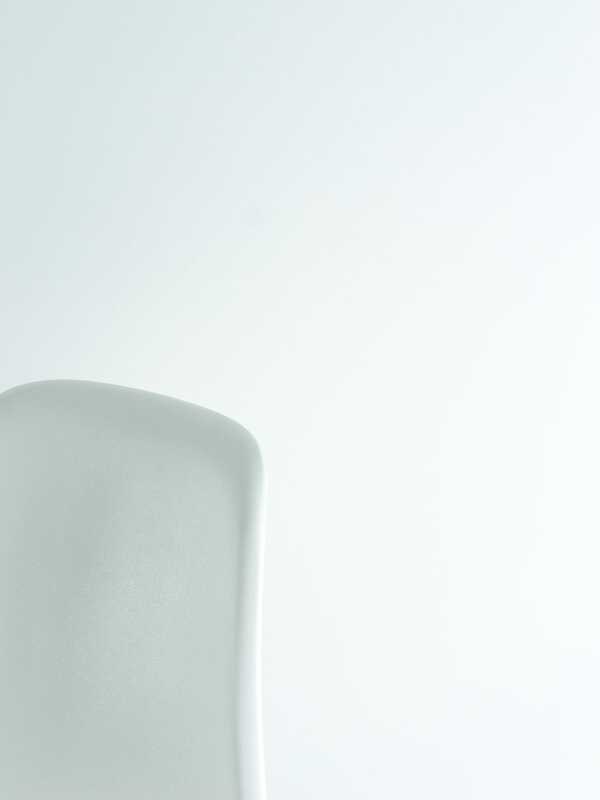 Nearly all of Herman Miller’s designs are timeless, but the Molded Plastic Chair ranks near the top of that list. Its minimal curves have been duplicated, replicated, and emulated thousands of times over, yet the true design is a pure lesson in minimalism. 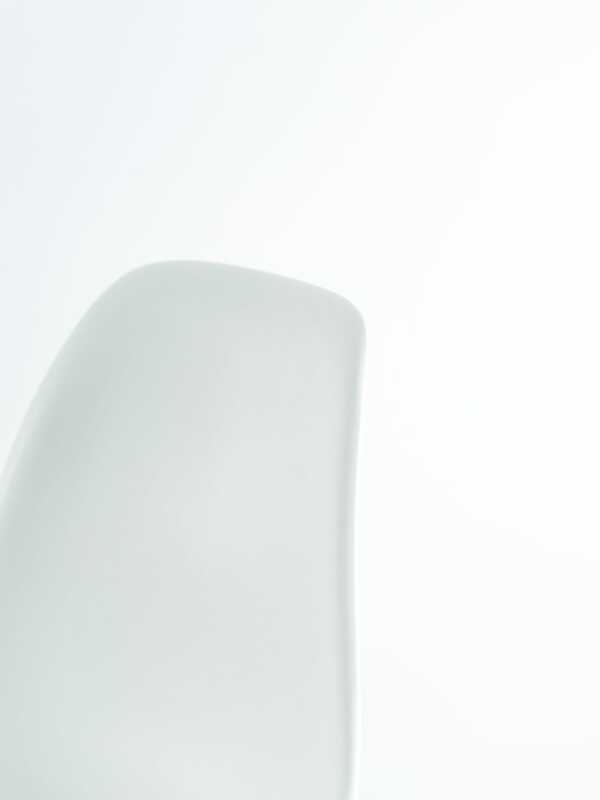 Every inch of this chair is molded to perfection, offering comfortable curves and a minimal design. There are no corners or sharp edges on the Eames. 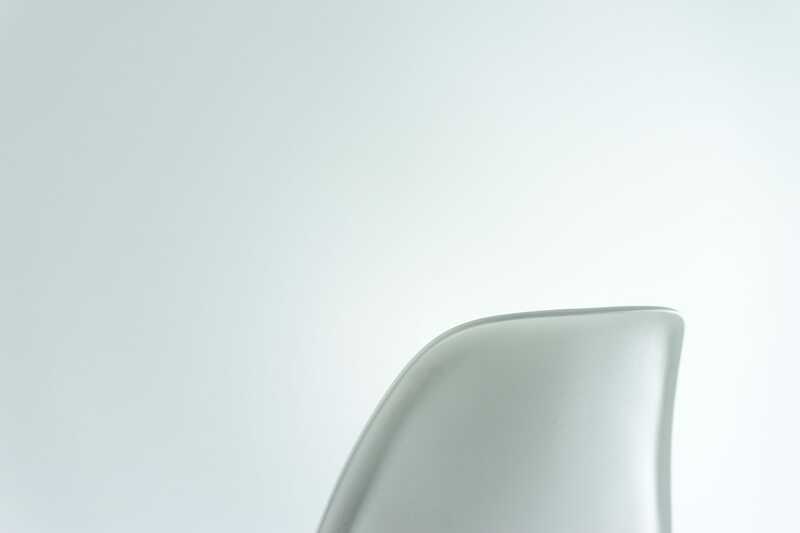 From the base of the chair to the backrest, every curve flows effortlessly into the next. This makes sitting on a hard plastic chair still relatively comfortable, even for long periods of time. Although the original design in the 1950s was made of fiberglass, the current design features 100% recyclable plastic. 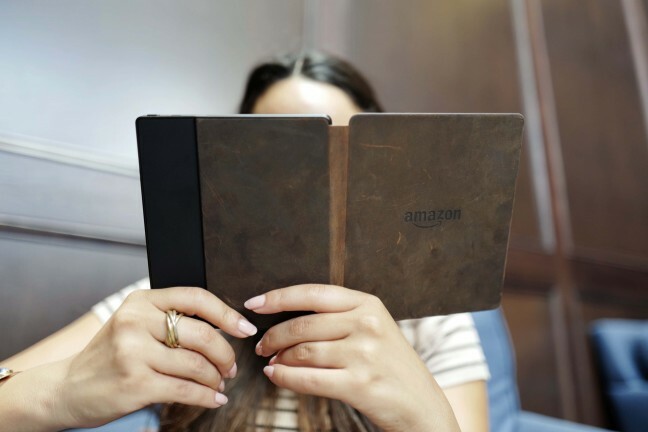 The plastic isn’t shiny or smooth, instead opting for a matte and textured finish. The Chair’s plastic isn’t perfectly smooth. It’s slightly textured, making for a matte feel and look. I like how it doesn’t give off a glare in direct sunlight, especially since it’s the all-white model. The plastic is made of 100% recyclable polypropylene, which is a change from the Molded Chairs of old. During the 1950s, the original design was made of fiberglass. Now, thanks to new knowledge about the environmental impact of fiberglass production, Herman Miller only produces plastic chairs. The plastic is notorious for creating intense static electricity when changing positions. No matter the material I am wearing, I consistently find myself shocking the first piece of metal I touch after getting up from the Eames Chair. Although hard plastic, the backrest has good flex and lets you lean back a few inches. Leaning back and bending the plastic slightly doesn’t change the permanent shape of the classic design thankfully. 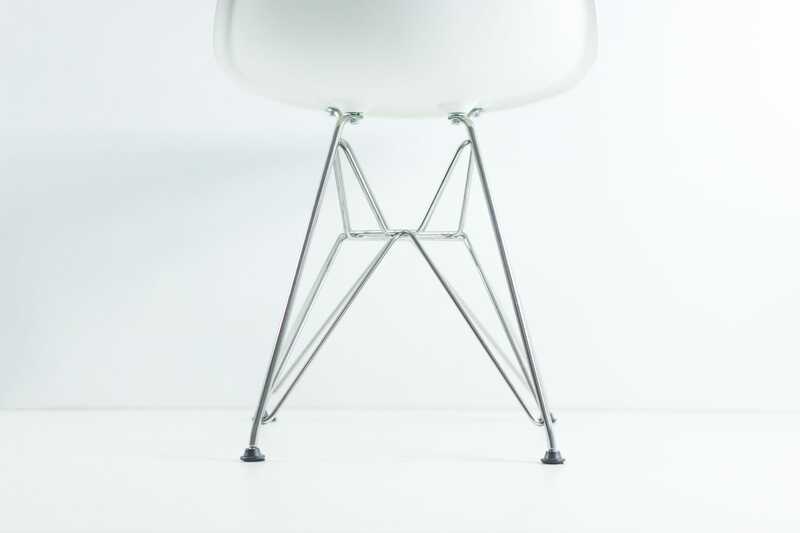 As can be seen by the design, the Eames Molded Chair’s wire base has come to be known as the “Eiffel” chair. The wire base is sturdy, but doesn’t have the same character as the wood dowel base. The base of the Eames Molded Plastic Chair comes in two designs: the wire base and a wood dowel base. Generally you’ll see the wire base referred to as the “Eiffel” base, because it takes some design cues from that great tower in Paris. You’ll also usually see the wood dowel base in many home decor photos, as the wood dowel legs add some more color and life to the room. My wife and I opted for the Eiffel base because of price and because we felt it would fit our home’s style more appropriately. The Eiffel base has a chrome finish and is pretty shiny in direct light. We’ve had no issues with the wire base breaking or needing to be re-welded over time. I am quite disappointed with the Eames feet, however. The feet themselves are just hard black plastic, but the felt covers on the bottom of the feet are poorly applied. One of the felt covers has almost slid right off the foot itself, which means the chair may scratch the floor if I’m not careful. The felt covers also pick up a pile of dust and hair if you don’t pull off the gunk every now and then. The backrest, although made of plastic, has some flex to it, ensuring you don’t snap the chair when leaning back. 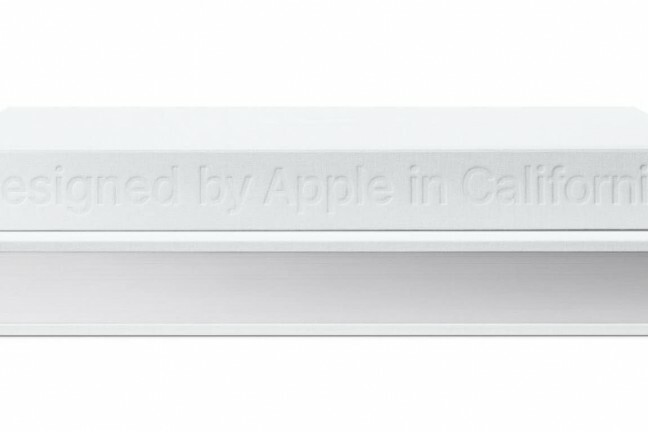 Further, the plastic doesn’t maintain any bent shape — it merely flexes and returns back to its curvy appearance. 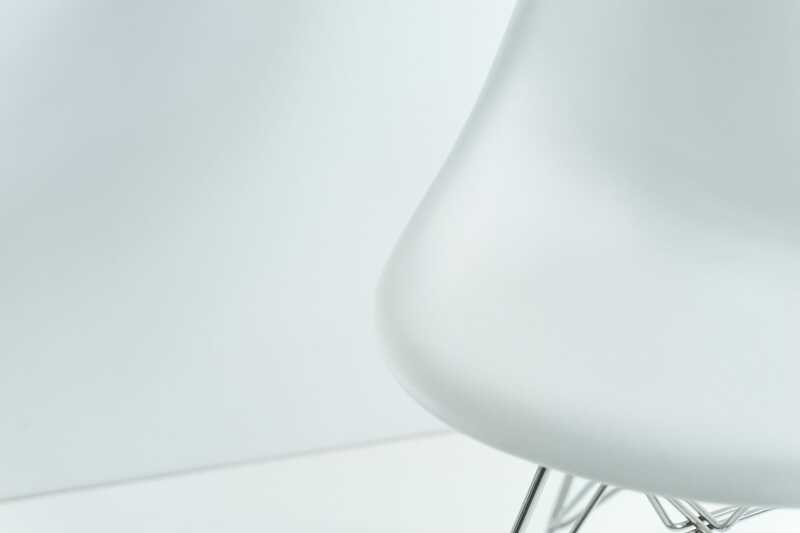 Like a few other Herman Miller designs, the 1950s Molded Plastic Chair still looks and feels modern today. You can pick up the chair in many (many!) different colors, satisfying any design or style you prefer. The white model can be seen in many Scandinavian-styled homes and fits in no matter the time or place. The Plastic Chair’s timeless design isn’t the reason for this review, however. In fact, I never felt a simple dining or guest chair would be a product that fit on Tools & Toys. After seeing the Plastic Chair’s actual utility in action though, I’m convinced this chair would fit the needs of many young families. My wife and I don’t have kids, but we do have four nieces and nephews under the age of five. In the span of a week, we had all four of the munchkins running around and eating whatever we had laying on the counter. To add to the chaos, my wife made spaghetti and meat sauce for supper one evening. And our cloth dining room chairs were destined to be magnets for the meat sauce. Realizing the potential horror, we put our youngest niece on the Eames Molded Plastic Chair. As expected, she spilled some meant sauce on the seat of the chair while shoveling in some fabulous pasta. 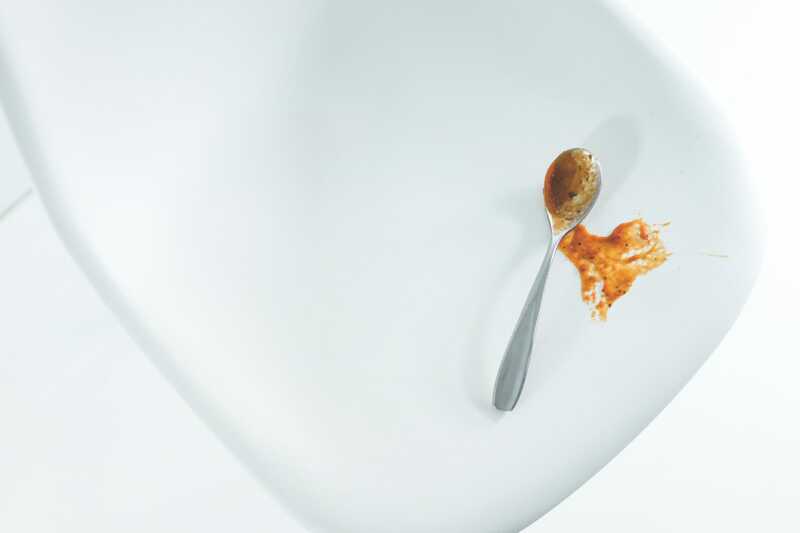 And all it took was a paper towel to wipe every bit of meat sauce off the chair. My wife has stated time and time again that we should purchase another Molded Chair or two for when we have kids. These chairs are incredibly childproof. We’ve had crayon, pencil crayon, pencil, tomato sauce, and chocolate put on this chair over the last few years. A Magic Eraser and a paper towel later, and the chair looks as good as new. Sure, you can purchase any traditional wood or plastic chair and never have to worry about stains and spills with young kids. But I’m willing to bet those choices and designs don’t measure up to the timeless design of the Eames. 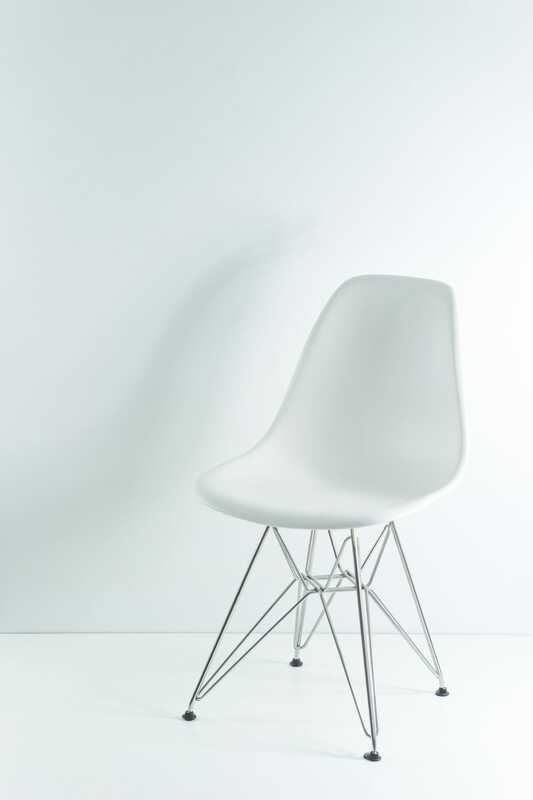 The Eames offers a timeless and childproof solution for any furniture worries you may have. 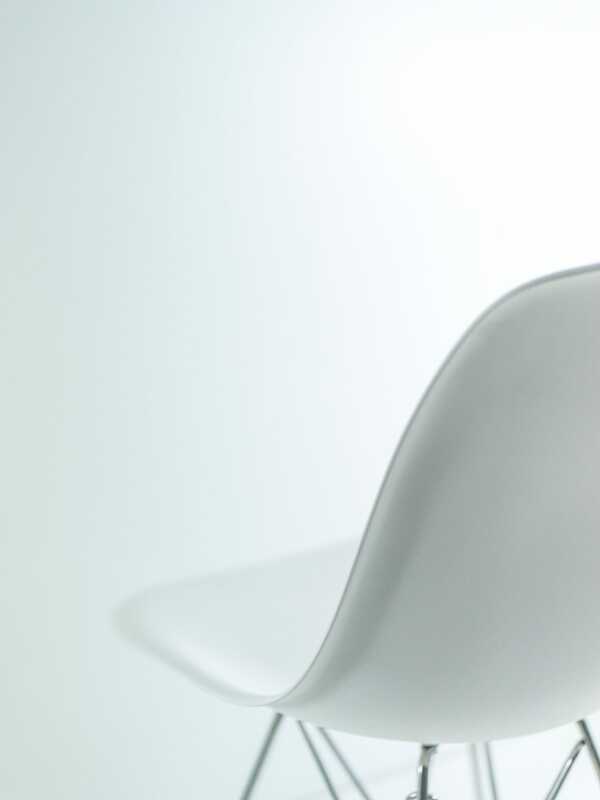 Every Herman Miller product comes with a premium price, and the Eames Molded Plastic Chair really isn’t any different. The least expensive option comes in at $339, while the pictured model goes for an even $349. You can add an upholstered shell for an extra cost, or you can upgrade to the wood dowel base for an extra $110. Without a doubt, this isn’t the least expensive dining room chair option on the market. But it’s one of the least expensive Herman Miller products you can buy for your home. The Herman Miller name imbues quality — products such as the Embody chair, the Eames Lounge Chair, and the Noguchi Table are well known as some of the highest quality furniture you can purchase. That same quality is stored in the Molded Plastic Chair, ensuring the $350 price tag is well worth your consideration. Let’s be honest: Reviewing a chair isn’t standard practice around here. Most people are bent on having ergonomic office chairs for those times when they need to sit down, or they have their eyes set on that high-end lounge chair for their living room. Rarely is a dining room chair a worthy review item. It’s nothing but a simple chair, but the Herman Miller Eames Molded Plastic Chair is — and will forever — be a staple chair in our household. No matter who or what comes to visit, our chairs are bound to stay clean and stain-free for their useful life. But the Eames Molded Plastic Chair is different, if you ask me. Not only does it offer a timeless design, it relieved any stress I had about meat sauce spoiling my cloth dining room chairs. It’s a timeless design, destined to be stylish for the next hundred years. And, although not inexpensive, it won’t completely destroy the bank when it’s time to make your house child-ready. Our time will come eventually. When it does, the Eames Molded Plastic Side Chair will heroically stand in my dining room.